Triumphant Institute of Management Education Pvt. Ltd. (T.I.M.E.) conducts GATE’20/21 Scholarship Test for Students who preparing for GATE 2020. The GATE QUEST (The Scholarship test) is open to students who wish to prepare for GATE 2020. Just follow the below steps to apply for GATE’20/21 Scholarship Test. Step 1 : Go to the official website of TIME through the URL provided above. ** Select How do you know about the event? Step 3 : After entering all the details click on the submit button. 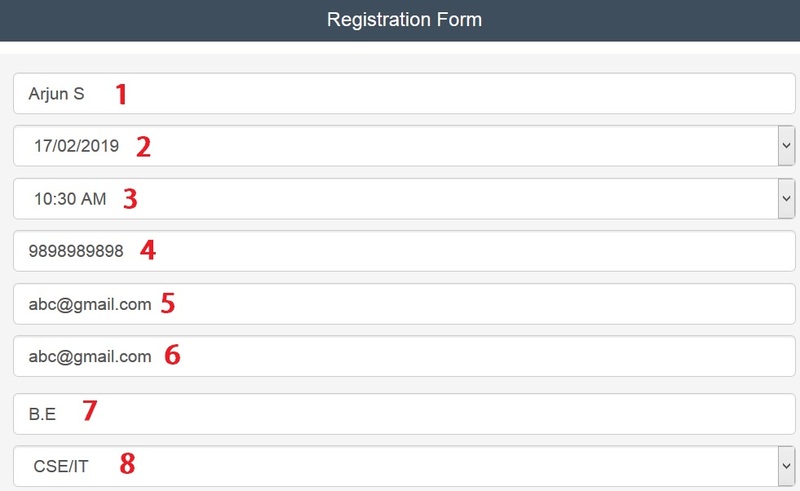 After successful registration you will receive a confirmation message. ** The GATE QUEST (The Scholarship test) will contain multiple choice questions on Quantitative Ability, Data Interpretation and Verbal Ability, Engineering syllabus. ** The entire GATE QUEST (The Scholarship test) procedure is expected to take approximately 1 hour. ** We are conducting a “GATE QUEST (The Scholarship test)” at four venues in Chennai on 17th February, 2019. ** Based on performance, students writing this examination will become eligible for a certain amount of Scholarship on our GATE 2020 Full Course fee. ** The topper in the GATE QUEST (The Scholarship test) will get a 100%* scholarship on our course fees.